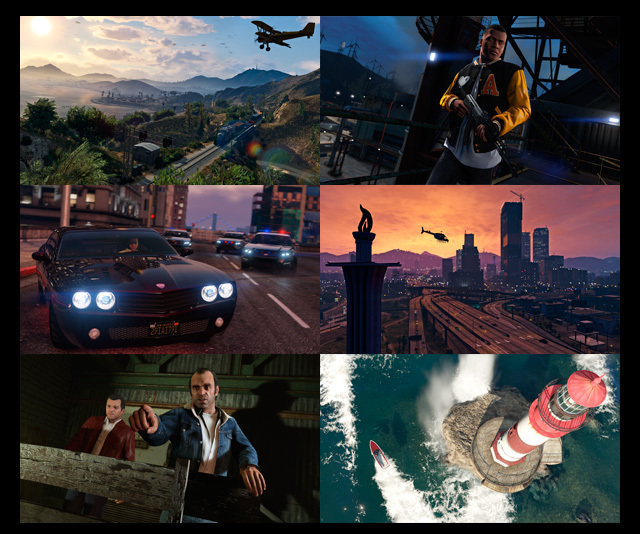 Check out an all new set of high resolution screenshots from the forthcoming PC version of GTAV at the Rockstar Newswire. 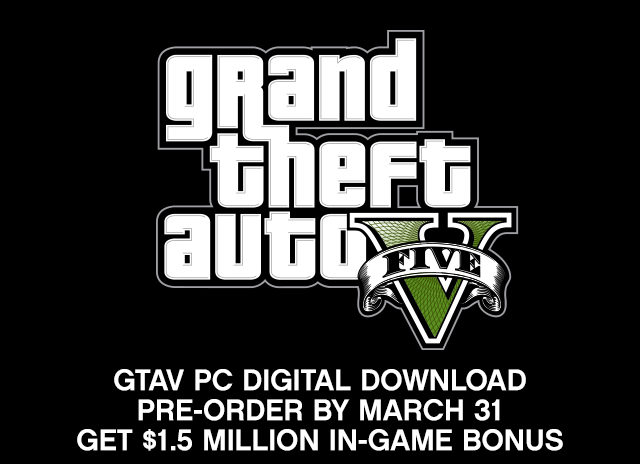 Arriving on April 14th, GTAV for PC is fully optimized to support all the latest and greatest hardware with an abundance of PC-specific enhancements (system specs). 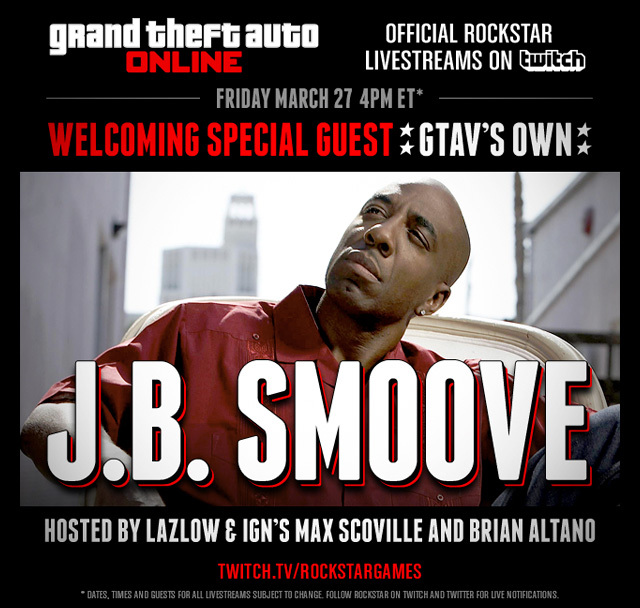 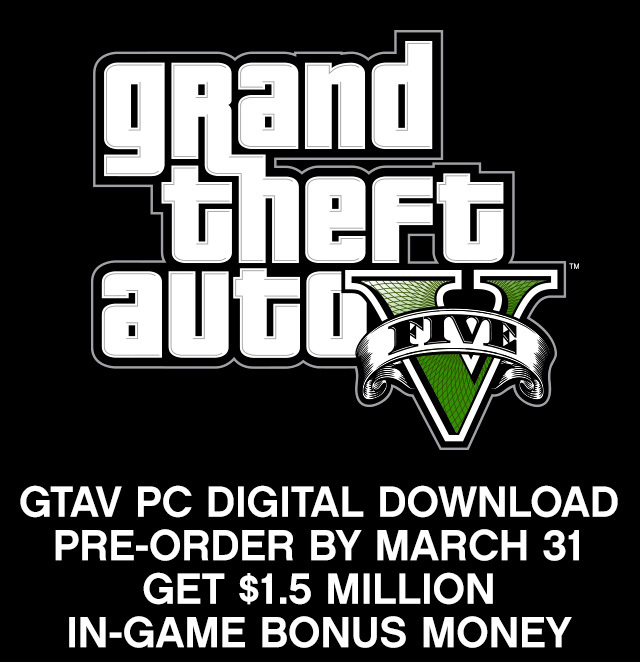 Look for the official GTAV PC trailer next week - and also, if you plan on getting the digital download version, make sure to pre-order by Tuesday March 31st to get $1.5 million in in-game bonus money to spend (GTA$500K for Story Mode and GTA$1M for GTA Online use).